Many dog owners enjoy purchasing numerous dog clothes for their dogs. Some of them buy many fancy accessories like collars with different patterns and colors. Buying dog supplies is a way to express your love and care to your dog. Have you ever thought about buying dog shoes for him? 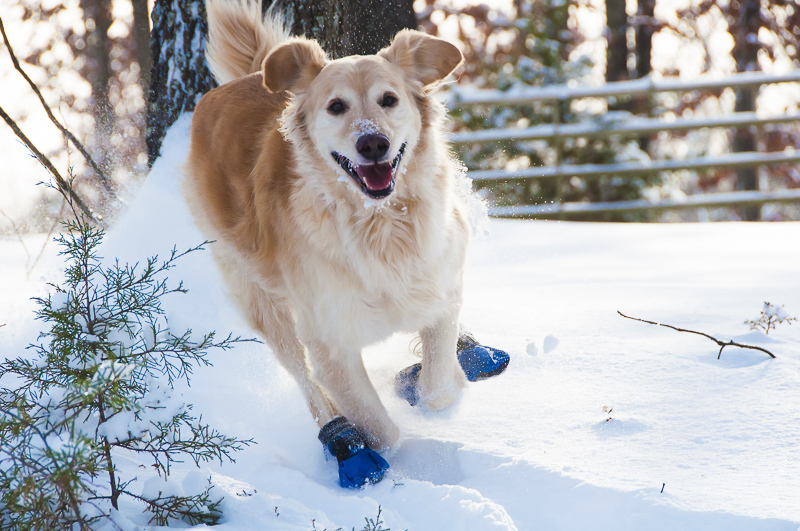 Dog shoes can protect your dog from snow, mud and rain in the cold and damp months. Some dogs may get hurt by broken glass, burs and thorns when walking barefoot. 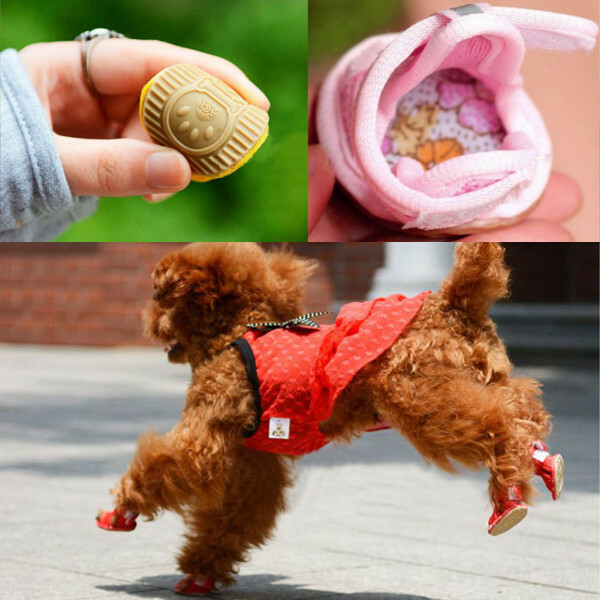 It is necessary to buy some dog shoes for your little friend and protect him from injury. During the rainy season, what could worse than the sudden rain that ruins your walk with your dog? Your pooch’s feet still get wet and dirty even if you dress him a raincoat. The dog waterproof shoes I’m going to recommend can keep your pooch clean and dry during the rainy days. 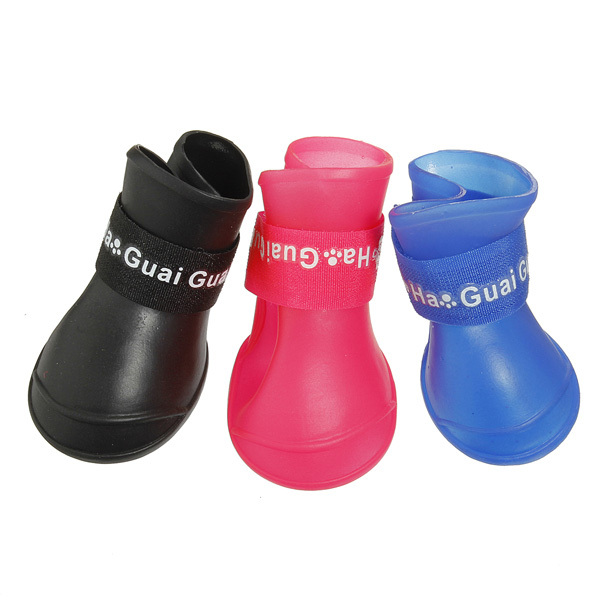 Made from resin, these dog shoes are easy and convenient for you to put on your dog’s feet. The high-top design efficiently prevents your dog’s feet from getting wet. With an adjustable band positioning in front, the waterproof shoes can perfectly fit your dog’s hocks. 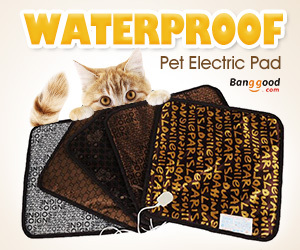 In hot summer, your dog’s feet need some protection when you walk him in scorching pavement. The breathable dog sandals are specially designed for this. They are made from breathable mesh cotton. 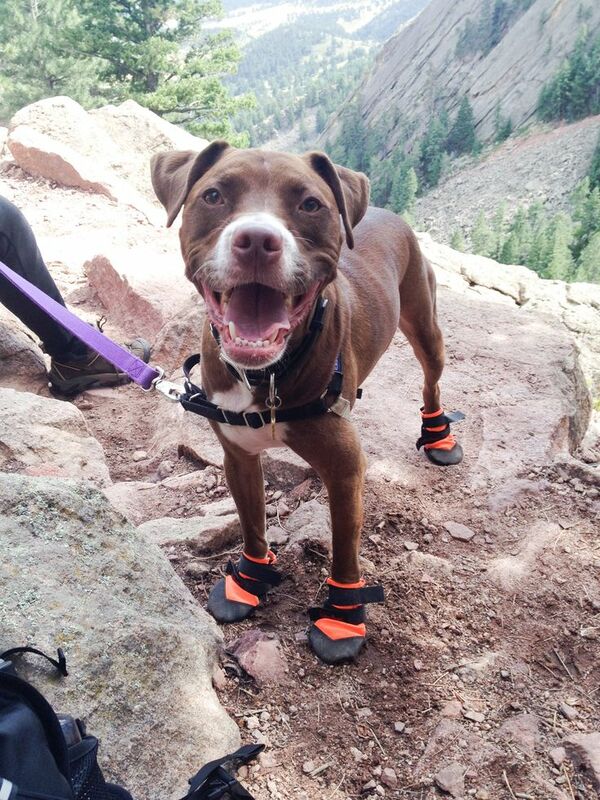 These sandals keep your dog’s feet from extreme heat and he will feel comfortable. 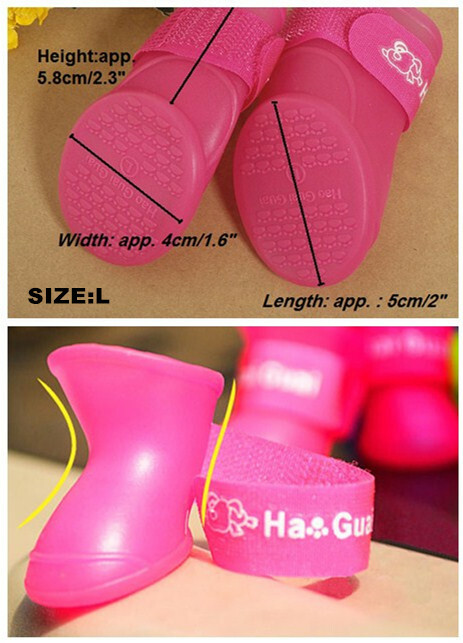 There are several sizes and colors for you to choose. 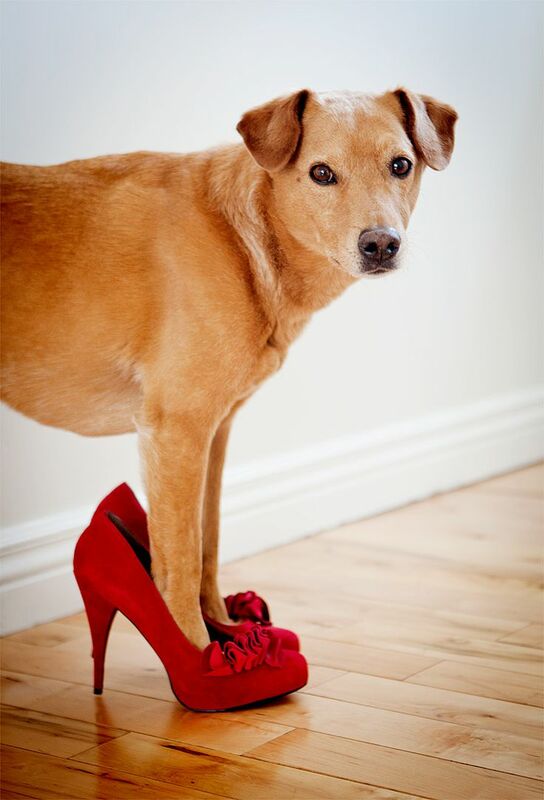 As part of the styling of your pooch, dog shoes shouldn’t and won’t forgo fashion. 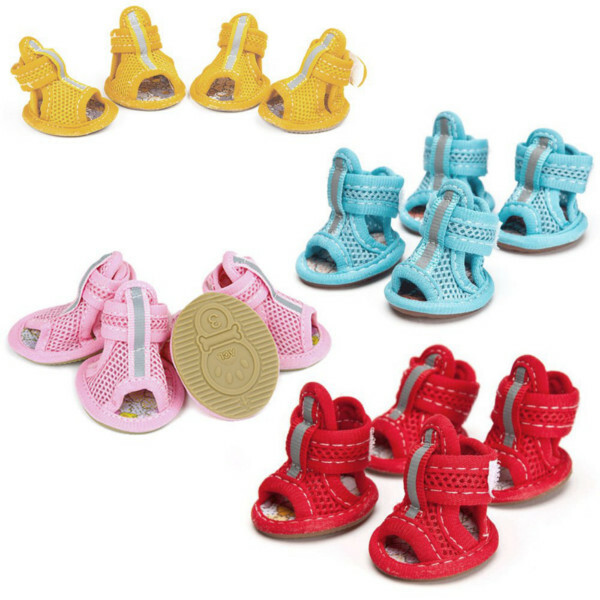 Dog shoes vary in different designs, patterns and colors. Even the usage of material can make a difference. 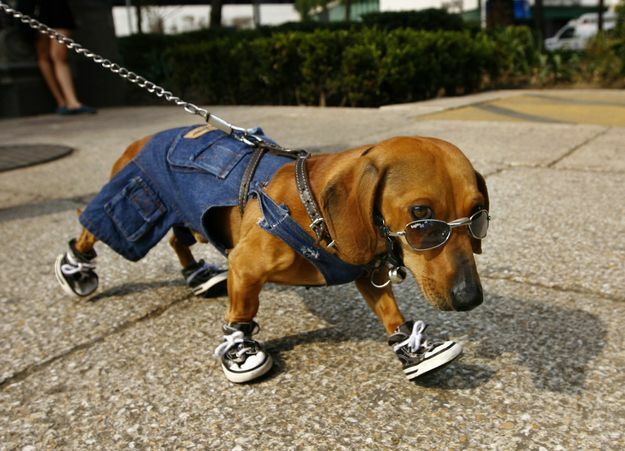 The denim canvas dog shoes are fashionable and eye-catching. 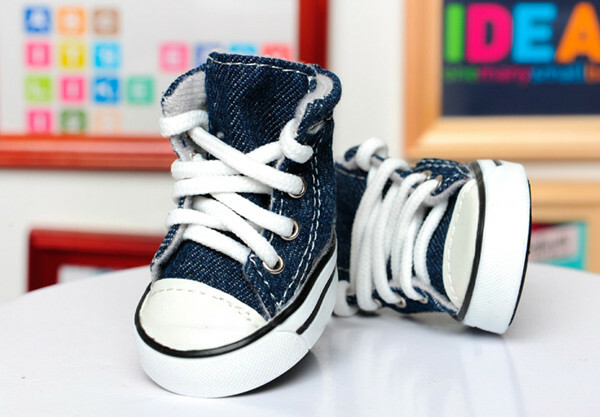 Denim is timeless and beloved by many famous fashion designers. This little piece of fabric will make your pooch the talk of people in the street. Keep in mind that choosing the right size is very important. Measure your dog’s feet before you buy him shoes. Otherwise, it will be meaningless to make him wear uncomfortable shoes. Hey. Welcome to my blog. I'm so glad you are here. I'm a big fan of dogs, cats and other lovely animals. I would like to give you a bit of inspiration each day. Feel free to leave your comment and tell me everything fantastic about animals.